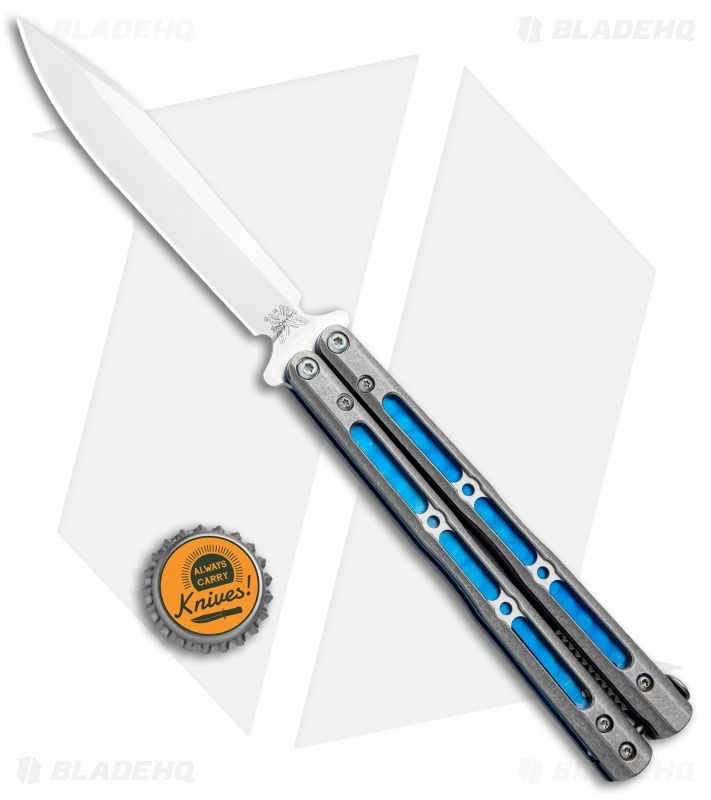 The Flytanium customized BM51 turns a great butterfly knife into a fantastic one! The standard G10 scales have been replaced with heavier, aftermarket custom milled titanium handles. The handles feature a unique groove with hole design with ergonomically chamfered edges. These feel fantastic in the hand and the quality is superb. A beautiful stonewash finish rounds out the look! With the addition of the titanium scales, the weight of the Flytanium 51 comes in at 4.11 oz, adding about 0.8 oz. The added weight does wonders for the flipping dynamics and gives it a more substantial feel. Overall, we are super pleased with this customized 51 from Flytanium and sure you will be too! 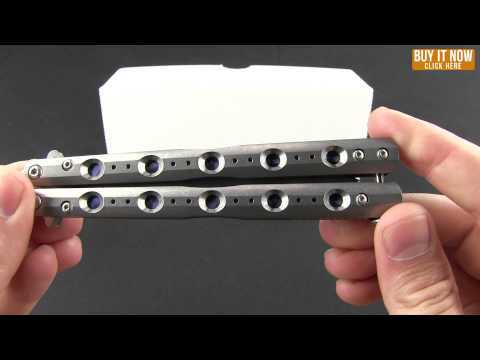 Please Note: Benchmade's Warranty does not cover dis-assembly of any knife by any person other than Benchmade’s Warranty department. The 51 is already a pretty good flipper but when you add the Flytanium scales to it, it becomes top tier. 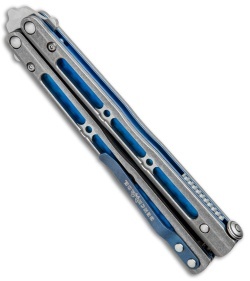 It makes it a much more predictable flipper and far more forgiving while doing rollovers. 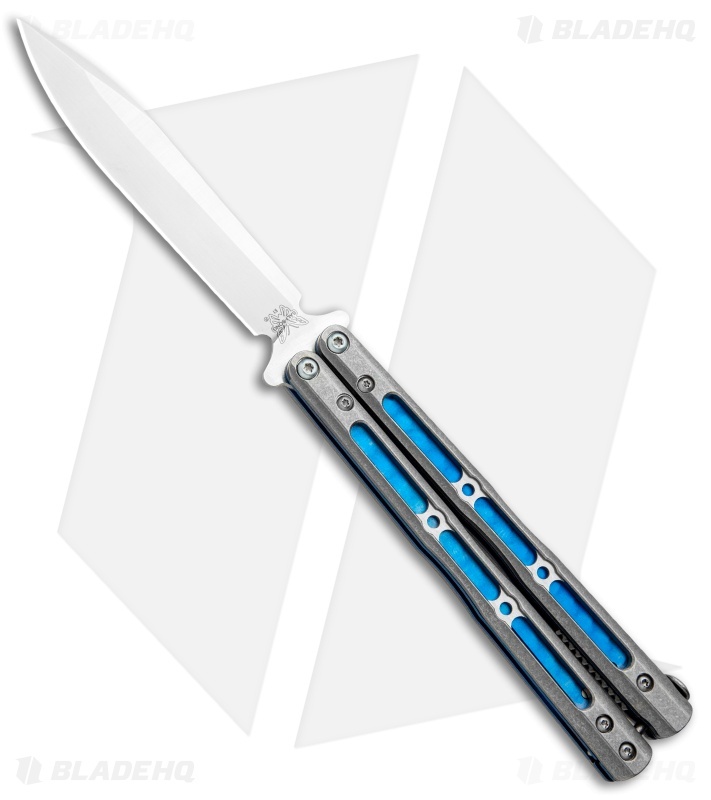 I'd recommend this for anyone who is into balisongs and if you're into flipping its a must have!